AFTER seven years and at a time he never expected, Phineas Bhamusi has finally realised his dream. The speedy winger said being named in the soccer stars finalists is a dream come true for him. He, however, believes he has some season he performed better and expected to be recognised by local football experts. Bhamusi can be best be described as a football nomad as he made many moves since breaking into professional football in 2011 with Gunners. He joined Buffaloes in 2012, moved to Harare City in 2013, CAPS United in 2015 before switching to Lowveld side Triangle in 2017. 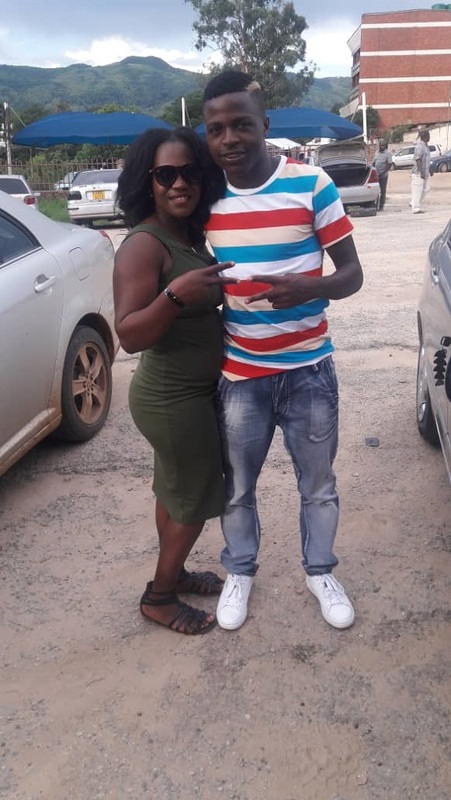 As if that is not enough, he is being linked with another move away from the Sugar Sugar Boys with Manica Diamonds and CAPS tipped as frontrunners. He spoke to H-Metro to share his experience after making it onto the calendar. “It is a dream come true and I’m so happy. I’ve always dreamt of this day to come. “There are seasons I thought I did well and expected to be on the calendar but it didn’t happen,” said Bhamusi. 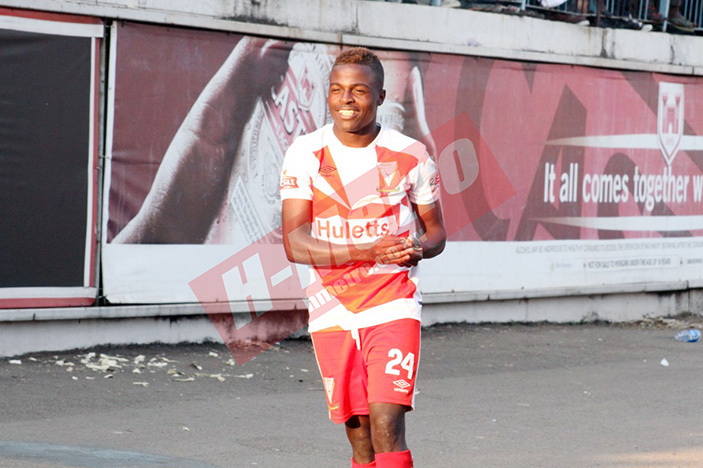 Bhamusi scored five goals in 33 matches and missed one due to injury. His contribution at Triangle United this season has seen clubs chasing for his signature. “So far so good, I’m happy and I have enjoyed the season with my team. 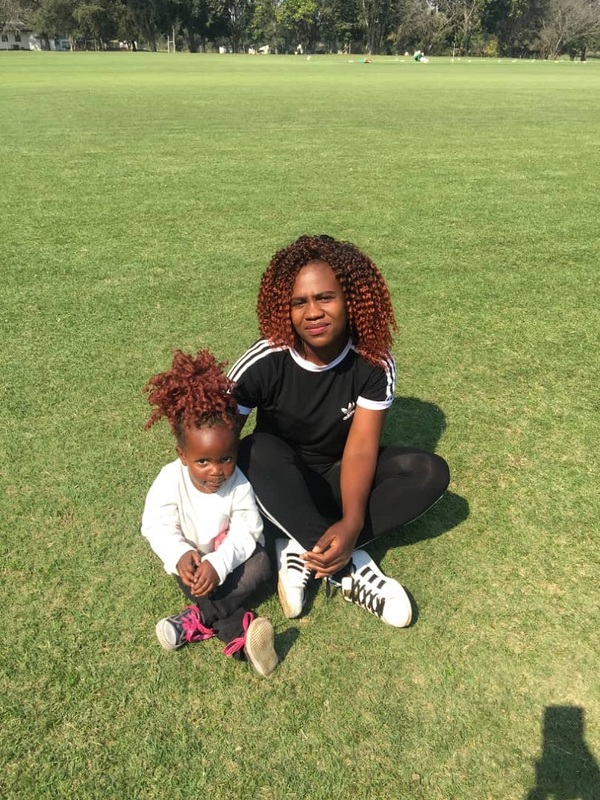 “Coach Mangwiro is a good motivator; he is someone who wants the best from us. “At the beginning of the season he told us that we are capable of anything just like any other teams. I think that’s what drove us to do better and aim higher as a team,” he said. “He (Mangwiro) told us to believe in ourselves. Personally he has added a lot of value in my life. “In the previous seasons I was only scoring at least two goals but I managed to score five which means he has managed to improve me as a player. 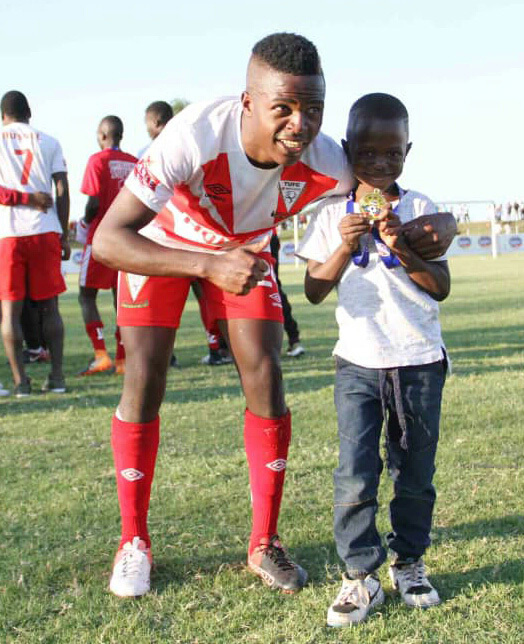 The 27-year-old describes himself as a fast winger and compare himself to FC platinum’s Marshall Mudehwe and Michael Charamba of Ngezi Platinum. “When I’m on the field I’m fast and each time I get the ball I always find myself in attacking position regularly. “Though I would like to score more goals I feel that I have done enough in terms of scoring goals as compared to other seasons. “Since I am someone who on most occasions finds himself up the field, scoring is added advantage. I usually create goals,” he said. Bhamusi has no football idols internationally. “Internationally I don’t compare myself to anyone. I just play like Michael (Charamba) and Marshall (Mudehwe). He once went on the sidelines for six months after a career threatening injury. “It was on 13 June 2014. I vividly remember the day. “It was on my right leg and I was out for six months. But here I am, I am glad that I am okay and playing the beautiful game that I love most,” he said. His best moment in football was winning the league with CAPS United. “Winning the league with CAPS was the best feeling ever in my career. Bamusi said the just ended season is one of his best. “The season has been good to me. I have been very consistent and I proved people wrong. Most people thought this was the end when I joined Triangle but I managed to redeem myself. “Going forward people should expect a better performance because being part of the soccer stars has given me the zeal to do more. “I just want to promise to continue working hard because most people tend to relax after receiving accolades,” he said. “We have a lot to learn from other leagues. And now that the season has come to an end, he will use to the time to be with his family. “I will be spending more time with my family. An ideal Christmas is to spend it with your family and loved ones. Bhamusi spoke about how his wife motivates him as professional footballer. “I’m a family man and my wife motivates me so much. She is the last person I talk to before every game. “She has been my number one fan and cheerleader since day one. She always tells me how good I am and how she believes how best I can be,” he said. “I want to thank everyone for their support. I was welcomed and felt at home since I joined Triangle.